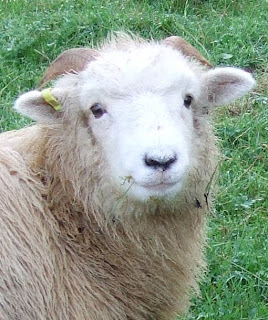 Sheep will always feature somewhere in my life, such characters - we all have our little foibles! Mum 'Judy' and 'George'. 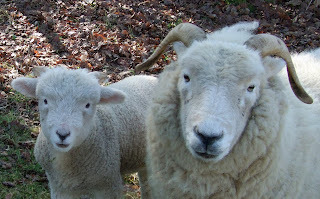 Their horns have suddenly broken through the wool making them look like little devils. 'Favour' waiting for his lamb nuts. Ah well, back to the challenge of the disks.